An incredible document found its way into my inbox. So incredible, in fact, that I had to get my thoughts on paper as I scrolled through the pages. Let me state upfront that it is a Public Investment Corporation (PIC) document marked “Private and Confidential”. However, as it has obviously been circulated widely, the confidentially part is moot. The document summarises the transactional and advisory fees paid by the PIC from 2014 to 2018 to various financial firms in relation to various transactions. The total comes to a staggering R960m. To be fair, many of those costs relate to legitimate brokerage fees and JSE trading costs incurred in the purchasing and selling of shares, and were paid to well-known stockbrokers. For instance, and as a representative benchmark, JP Morgan was paid R6.2m, Investec R6.1m and HSBC R300,000. The black economic empowerment (BEE)-rated stockbrokers got a bigger slice of the pie, with Taquanta earning R10.2m, Vunani R25.2m and Legea R27.5m. But all of this was chump change relative to other amounts paid to completely unknown entities for a range of questionable and badly defined services. 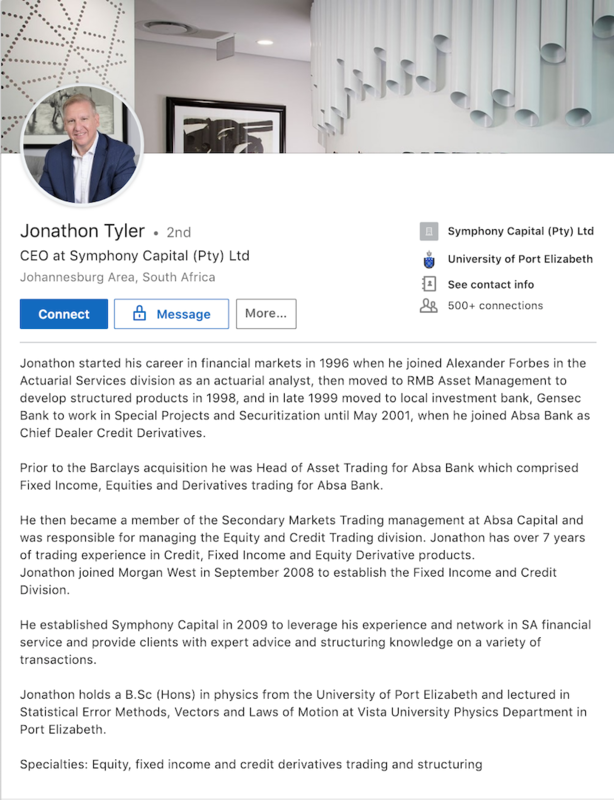 Let’s start with the highest number, R192.8m paid to that “eminent” firm, Symphony Capital Advisory Services, for “structuring, advisory, execution and implementation” services. In my 20 years in financial services, I have never come across Symphony in any shape, size or guise. The website is worth a visit though, as it looks like a ready-made template one can purchase for $60 online. Not a word about who is behind Symphony. Lots of verbiage about “the art of structuring”. Art indeed. For the price they charged, it must have been a Picasso. Next down the line is R110m paid to Mergence Africa Capital for “deal structuring and derivative structure”. I know Mergence as a small, boutique BEE asset manager. I have never encountered them as corporate deal structurers of anything. Another flimsy website. A few pages of nothing. You would think that, after earning R110m, they could at least afford a graphic designer. Symphony and Mergence pocketed R203m for advising the PIC on its clearly “very complex” investment in Vodacom. The next “advisor” is more sneaky. So sneaky, in fact, that it deserves a separate section in the report. The section, headed Transactional Advisors (Listed Investments), refers to a committee requesting details of all fees paid to Nana Sao, Sao Capital and any related entities, in relation to the MTN Nigeria, Angola Government Bond, the Kenyan Energy Fund Company and other transactions. I assume the committee is a standing committee on public accounts, a possible procurer of the report. The amounts are detailed in a table and come to R367.7m, with R64.2m going to Sao. Some camouflage is attempted in presenting the number as “other advisors” are also listed, namely Symphony, Renaissance Capital, Mergence and the obscurely named DM5, White & Case and Templers. Needless to say, not one of these names rings any bells in this church. The fees are described as being “advisory and referral fees”. 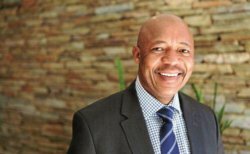 Former Public Investment Corporation (PIC) CEO Dan Matjila. The same model was subsequently used by AEEI in the listing of Ayo Technologies, with AEEI paying itself a handsome advisory fee of R57.7m for securing a R4.3bn PIC investment in Ayo. Rinse and repeat. An R11.4m “referral fee” was also paid to an anonymous Thirdway Group for an investment in Novare Africa Properties Fund. Novare, last time I checked, marketed itself as an independent consultant to pension funds. The document details a sad litany of plunder of the PIC’s assets. In all, almost R1bn. By my estimate, more than half unnecessary and unwarranted. But let me stop for now. I have run out of words, literally and figuratively. I had to limit this article to 800 words – at 799, the words failed me. 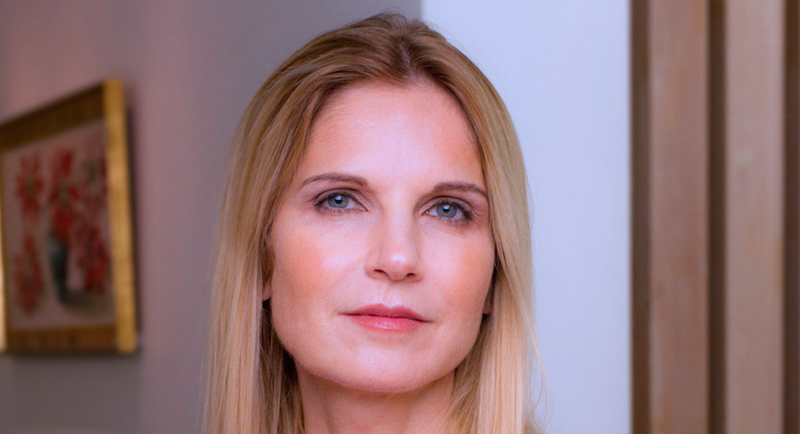 Magda Wierzycka is the founder and CEO of the Sygnia Group. You can follow her on twitter at @Magda_Wierzycka. This article was republished with permission of the author. It appeared first in Business Day. + EDITOR’S NOTE: An earlier version of this article included a reference to fees of R22m paid to Lancaster as reward for fundraising from the PIC to buy shares in Steinhoff. The figure was incorrectly allocated as fees in the PIC’s report, a mistake the PIC apologised for and corrected at a SCOPA hearing by stating that the R22m was not an advisory fee, but the share transfer tax paid on the transaction.